I am not a doctor. Nor am I a pharmacist or a nurse. Heck, I’m not even technically a social worker until (and if) I graduate from the University of Maryland-Baltimore SSW next year. However, I have been a citizen for as long as I can remember and, as such, it is my duty in this lovely little democratic republic of ours to stay abreast of the issues and to scream fire when I see smoke. A long-departed Frenchman once remarked that “common sense was not so common” and I believe this holds doubly true for business and politics. Throw education and science in there too while you’re at it. Any section of society that cordons itself off from the masses and envelopes itself in its own language, customs and ethics is bound to become so enamored of itself that it forgets the simplest solutions. A lovely example of this is a recent hearing of the Primary Health and Aging Subcommittee on the cost of HIV/AIDS medication in this country and how to lower it. The main focus of the hearing was a proposal from Sen. Bernie Sanders (I-Vt.) that advocated for the creation of a $3 billion dollar fund to reward creators of new HIV medications, provided they went directly into the generic market. It is a wonderful idea I think the concept of rewarding ingenuity and innovation while making healthcare affordable for HIV+ individuals is one that can be opposed only by hypocrisy or corporate interest. Major drug companies have already waved their patent rights in developing nation’s as a result of the President’s Emergency Fund for AIDS Relief (PEPFAR), so why don’t they do it domestically? The drug companies will tell you that they cannot afford to reduce the price of medications in the United States and still turn a profit. Let’s take a quick look at how that pans out, using Merck & Co.’s drug Isentress as our guinea pig. According to www.healthpricer.com the cheapest that Isentress sells from online pharmacy’s is about $975.00 without insurance coverage. If you stretch that over a year, it adds up to $11,700, which would only be a fraction of our hypothetical client’s Rx costs as Isentress must be used in conjunction with other HIV drugs such as Truvada. 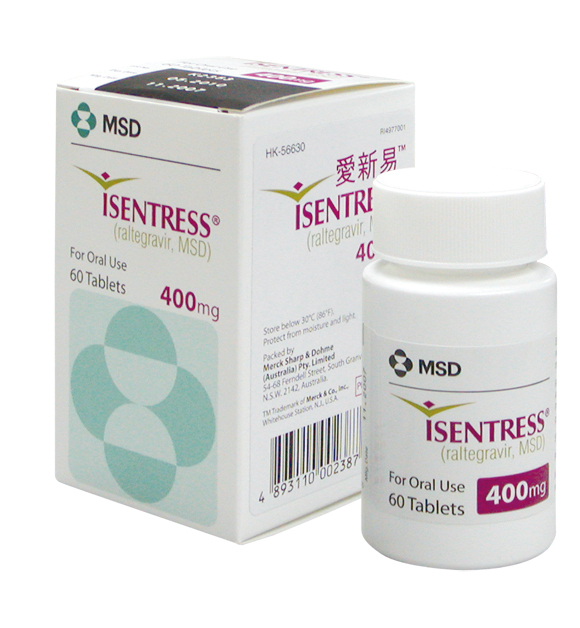 Now, according to Forbes, Merck & Co. made $337 million dollars in the first quarter of 2012 off of Isentress alone. If that money were turned converted back into more HIV medication, it would be enough to supply 115,175 HIV positive Americans with the drug. To put that into perspective, only about 350,000 of the 1.2 million HIV+ people in this country are getting effective HIV treatment. It may seem like I’m ragging on Merck & Co. in specific and the pharmaceutical industry in general and, well, I am. But, what I will say is that they can’t help themselves. Companies like Merck & Co. and Pfizer aren’t really responsible to patients. They’re responsible to shareholders and the almighty dollar. As a private, for-profit industry it is their goal to make as good a return on their shareholders investments as is humanly possible which, luckily enough, involves developing revolutionary HIV drugs and then patenting the unholy hell out of them to maximize profit. If the CEO of Glaxosmithkline could make more money by selling carburetors or corn liquor, then he’d probably do it and make hearty donations to HIV/AIDS causes to slake his philanthropic thirst. And this would be fine, if they actually profited off the manufacturing of carburetors or corn liquor, but they’re not. They’re profiting off of a medication that has the power to give and take away life while thousands of Americans languish on ADAP waiting lists and countless others stay out of care. Once again, I am not a pharmacist nor am I knowledgeable in the chemical makeup of HIV medications. However, I have some fairly sizable doubts that there is about $16 of pharmaceutical goodness in each individual Isentress pill. But, even if the raw materials and labor required to make these drugs pale in comparison to their market price, the companies own the patents don’t they? What can we do about it? Well, I have one suggestion that takes Senator Sanders’ proposal to its next logical conclusion. We increase the HIV research and development budget for the federal government, we hire the best and the brightest scientists with that money and we set them to manufacturing new HIV drugs that, when patented, would have to go directly to the generic market and sold at cost. Why not just eliminate the middle man? The federal government, and by extension the American people, are shelling out billions of dollars to pharmaceuticals companies and for what? So that Pfizer CEO Ian Read can make $18 million a year in salary and benefits? Call me crazy, but it might be a good idea to take the profit motive out of a large chunk of the pharmaceutical industry. If they want to make billions off of erectile dysfunction and allergy medication, then fine. But don’t expect me to come a-clapping when drug companies stock value soars while CD4 counts plummet.